Can the UC serve more transfer students? Should the CSU only serve transfer students? And why there’s a lot to celebrate in having the community college system set goals to significantly boost the number of students who earn certificates, degrees or transfer. 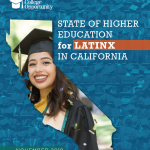 When IHELP was founded in 2001, we set a mission to enhance leadership and policy for California higher education by producing actionable research and information for policy makers, practitioners, and educators. We chose an emphasis on community colleges in recognition of their importance to the state’s economic well-being. 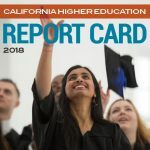 As I approach my retirement, I am naturally reflecting on the state of California higher education today in view of that mission. 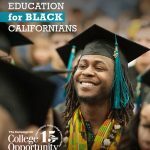 For several years, the Campaign for College Opportunity has urged state policy leaders to be bold in proposing and adopting a statewide plan for higher education. 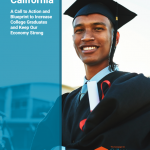 California is in urgent need of a plan that sets out a vision for producing more college graduates who can fill the state’s workforce needs and for closing college-going and attainment gaps across regions and ethnic groups, by establishing targets and metrics linked to funding and policy priorities to help us achieve this vision. Thank you for inviting me before you today. 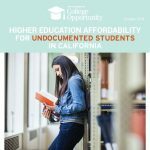 I serve as the Executive Director of a California statewide non-profit organization, The Campaign for College Opportunity. But my favorite title is college graduate, especially because it was an improbable title for me to get. My opportunity to go to college and succeed was directly a result of good policy and investments by my state to provide me with the opportunity and financial aid.